You’re playing a cash game. You have raised preflop with Q♥Q♦ and have one caller out of position. Flop comes 5♣7♣8♣. 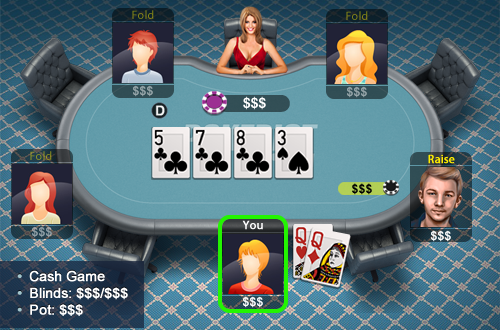 The opponent makes a pot sized bet out of position and you call. Turn comes 3♠. Again opponent bets the pot.